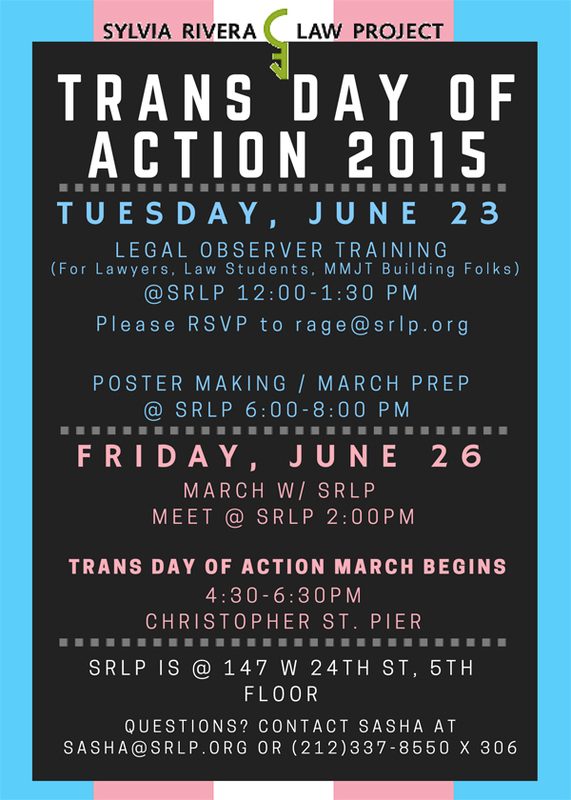 On Tuesday, June 23rd from 6:00 pm – 8:00 pm, come join SRLP to prepare for the march and make posters for the upcoming 11th annual Trans Day of Action (6/26)! Trans Justice is an annual march initiated by Trans Justice of the Audre Lorde Project to demand for social and economic justice. For more information, click here. Rally with SRLP in the annual Trans Day of Action!